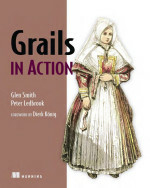 Today my copy of Grails in Action arrived. I did a review for this book, so Manning was so kind to send me a free copy. This book should be a must read for every Java enterprise developer! Grails shows a pragmatic lightweight approach to the Java EE platform which is eye-opening and will change your perspective on Java enterprise projects. I really believe that learning Grails can provide an interesting new perspective on Java EE development. Grails is not about code generation. Even though grails provides possibilities for generating skeleton artifacts, thats just a minor convenience feature. You can use the power of Grails without even using the code-generators even once (As a proof you can watch Graeme Rochers webinar "Bulding Twitter in 40 minutes"). Grails is not reinventing the wheel. Grails builds on top of proven Java frameworks (Spring, Hibernate and SiteMesh being the most prominent ones, but many more integrations are available). 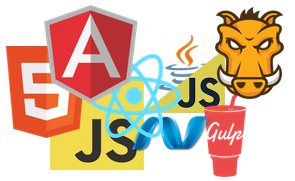 Grails is an abstraction layer over those frameworks and aims to provide a seamless integration of those frameworks to form a homogenous web application stack. By default Grails imposes proven best practices for web development. All this is wrapped with the elegance of the Groovy language. Curious, how would you say the book compares to _The Defintive Guide to Grails? If one has a strong connection to the Java platform or codes solely in Java, Grails is a very interesting framework. But I really wonder how people can call a framework based on Hibernate, Spring and Sitemesh LIGHTWEIGHT. LIGHTWEIGHT is something else but Grails is an aggregation of techniques that can become complex, once you dig deeper under the hood!